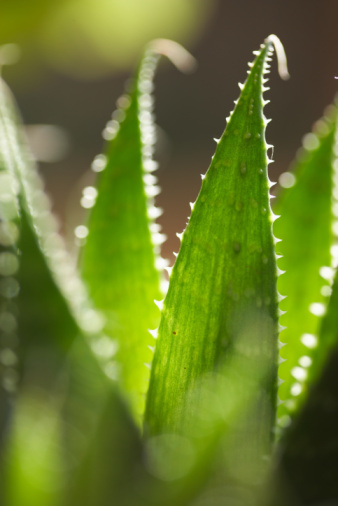 Sage is an herb that is known for its healing and medicinal properties. 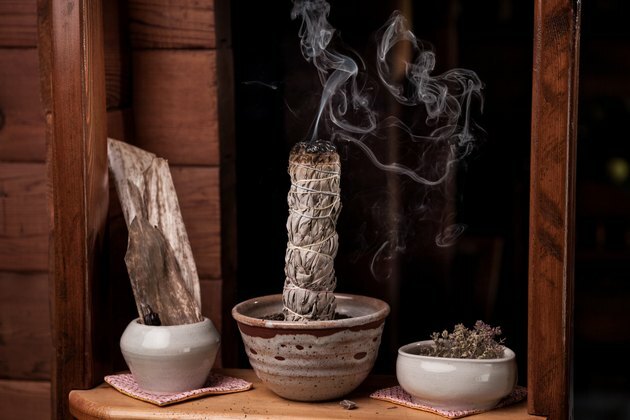 People have burned sage since ancient times to cleanse and purify objects and homes. 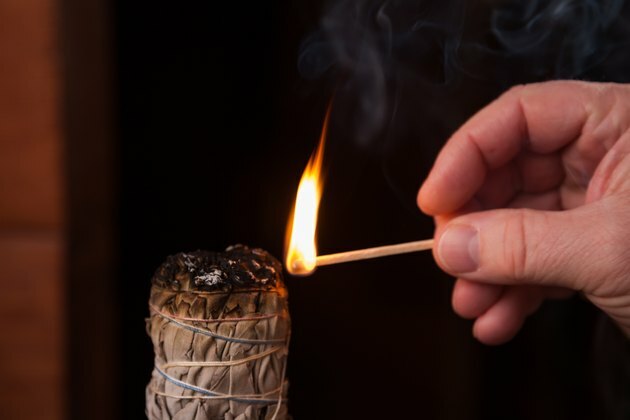 Proponents of sage burning, also known as smudging, believe that the sage smoke is a way to bless your home and dispel it of negative energy and influences. 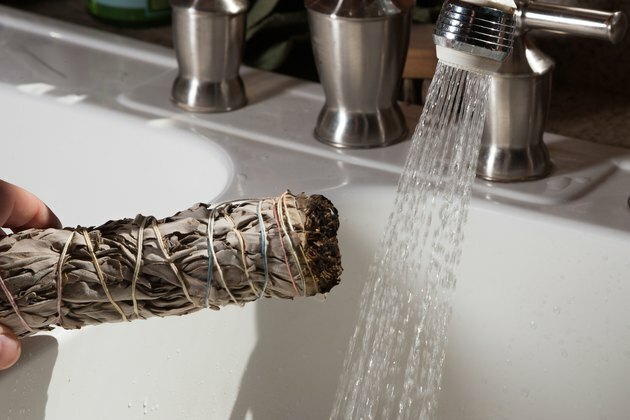 You might wish to burn sage to purify and cleanse your current home or a new residence before moving in. 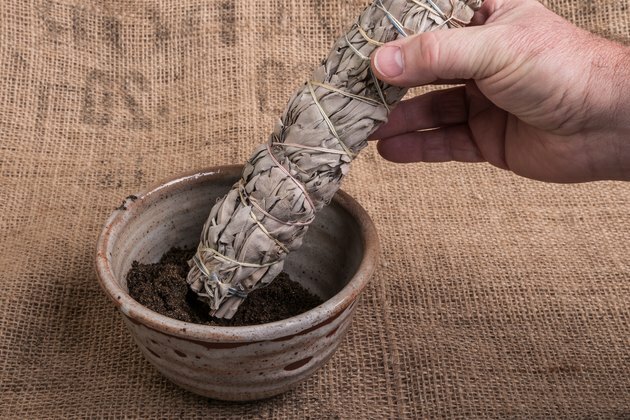 Purchase dried sage that is tied in bundles with cotton string at a health food or new-age store. Pour a layer of clean sand into a metal container or ceramic dish. Place one bundle of sage into the container. Light the sage with a match, and then blow out the flame. 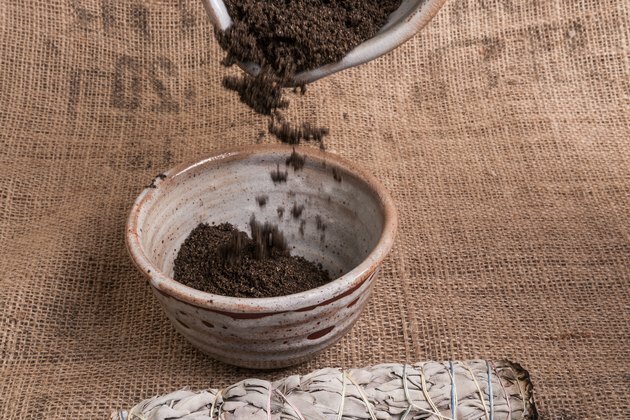 Allow the smoke to billow up out of the container as the sage smolders. Disperse the smoke throughout your home by placing the smoking container in different rooms, allowing the sage to penetrate each area that you wish to cleanse. 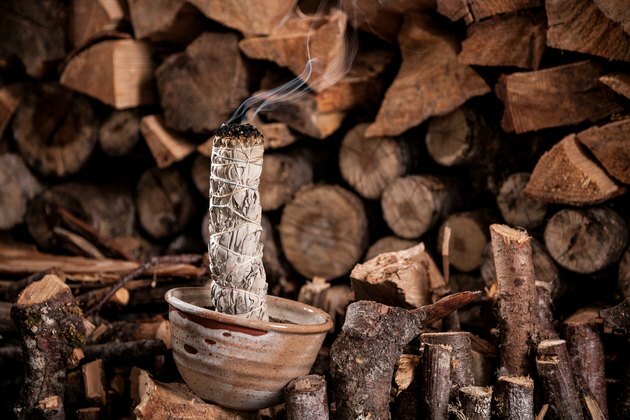 Place the sage outside and allow it to burn itself out, or run it under cool water.